I started an at home business so I could be with my daughter on a more full-time, inclusive basis. I had been working a 40 hour a week corporate job, (that I was thankfully fired from after three months- because that’s how corporate I’m NOT), missing my daughter’s development. The money was not worth it to me, and my time was the most precious thing on my mind. I’ll admit, my first reaction to me being fired was complete fear- then my innate entrepreneur spirit kicked in FAST- and I SUDDENLY had this GREAT idea to do tarot readings, energy healings, and the like online. This was the part of massage therapy school (and studying with a shaman) I was in love with while attending, and now my opportunity to use my knowledge of energy healing combined with my psychic gifts had presented itself. I listened, I did not wait. Without any idea of what I was doing, I was now running an online business to generate a full income for my family. Long story short, within two years I have a brand name energy healing LLC and am being a complete #momboss on the regular. Other moms often ask me how I do it. How do I juggle being mom to my kid (and one on the way at the moment), AND serving multiple clients a day in a week, AND running masterclasses, AND showing up LIVE for my audience AT LEAST three times a week, and writing, and selling retreats and mentorships- the list goes on. When I get this question, I often must take a step back and reflect because I don’t realize that I’m doing anything THAT special to find this balance in my life, other than listening to my intuition as to when to ask for what I need- and isn’t that what parenting comes down to? Self-care first. It’s not any different than someone without kids serving the world, except for the fact that moms also have family duties to attend to. There are ALL types of moms out there who find their groove between business and parenting in their own way. Here are a few things I do on the regular to ensure balance in my business and in my mom duties that may help the mom like me. 1. FLEXIBILITY: This is an ABSOLUTE must for a mom boss, and more importantly flexibility must be honored by the clients one is working with. Sometimes, your child care is late, or your kid is teething. So MANY moms find themselves in a dilemma between needing to attend to their business responsibilities and their child care responsibilities at the same time- and you know what? It’s okay, because it’s the life of a mom. Remaining open to a flexible schedule helps create more of an intuitive order in a mom’s life, rather than a man-made time structure babies and kids clearly don’t want to follow. 2. 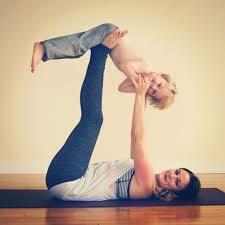 UNCONDITIONAL COMPASSION AND SELF-ACCEPTANCE: THIS is an absolute MUST as a mama entrepreneur. We are constantly serving not only the world, but our family. We are attending to the needs of many people; if we lose our patience, or forget something super important- pause. IT IS NOT THE END OF THE WORLD… life is nowhere near perfect, and being a mom is not a perfect act either, it’s a balancing one that we must learn to flow with not resist. Accept yourself where you are at, and greet each challenge with unconditional compassion for who you are and what mission you’re on. 3. MAKE YOUR BUSINESS YOUR BABY TOO: I literally tell people “my business is my baby” and it’s the truth. I take care of it, I give it the sustenance it needs to thrive, I show up for it every day in some way. If you are having issues finding a balance between transitioning from stay at home mom to self-made wealthy mamapreneur, your business MUST become a priority as well. Set some clear and reasonable boundaries for yourself when it comes to your business. When are you going to show up, how often is reasonable for you to do so? Getting down to the logistics helps create a habit of doing business no matter what it is going on- and with the online world, working can be done so remotely it won’t matter if your kid is sitting next to you while you write your blog, sales post, or email list. 4. DITCH THE OVERWHELM ACT: I remember how MUCH I use to think that me being a mom AND a business woman was so overwhelming. I would CONSTANTLY tell myself, “but my daughter needs me”. I had this idea in my head that everything must be SUPER STRESSFUL for me to be a mom, something I picked up from my own mother (if you have never felt this as a mama, then more power to you). I had to stop and realize that by thinking it I was creating it! To ditch my overwhelm act I started being grateful for what I had, and what I was building- it helped me gain perspective of how truly free I am with my desires to be a mom and a business owner. I set some firm boundaries within myself to do something other than react to my child when things get a little rough. One of them was not being frustrated with deadlines, (back to that flexibility rule), and giving her attention when she needed it, and not feeling guilty when I need time to finish what I started for my business baby that day. 5. GIVE TO YOURSELF FIRST: do NOT do business or parenting before you have had a minute or 60 minutes to yourself. If this means you have an early bed time for the kids, and you enforce that, or it means you wake up before anyone else- give yourself what you need so your cup can runneth over. Whether this means a morning meditation, yoga, or workout- or just some journaling before you begin your day. I find my days are most empowered in my parenting and in my business, are when I have had the time to think out how I want my day to go, and then not try to force it- just do what I know I truly want, desire, and require to do that day. Of course, out of respect for your sovereignty as a human and a mother, follow what your heart tells you to do. These tips and tricks are what I have found works for me and my parenting style. If you know you need help, do not be afraid to ask for it. Parenting and business are all about prioritizing, hone in on what feels like the most important and valuable use of your time, as well as the time of your child. The balancing act of mom and entrepreneur was made for the warrior women who know they can handle it all, and then some, ultimately tapping into that fierce ability to handle all of it is what pulls us up into a space where we feel like everything just flows. One doesn’t choose the path of a Shaman, the path of a Shaman chooses you. That’s what happened to Olivia, aka Lightworker Liv, back in 2012 when her grand adventure to finding her True Authentic Self began. It wasn’t long until she started realizing that her childhood memories had left scars and energy leakages in her precious psyche. She knew something had to be done, so she turned to Great Spirit to show her the way, now she is Lightworking for the Whole. Liv helps people step into their full power and obtain authenticity in many facets of life including work, relationships, and mastering self love. The Surprising Connection Between Living a Life You LOVE and Designing a Profitable, Sustainable BUSINESS.